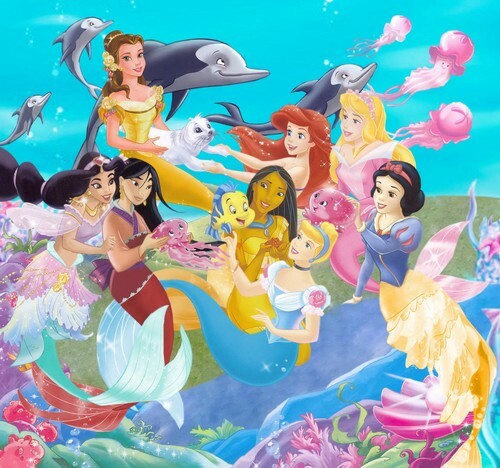 Mermaids))). . HD Wallpaper and background images in the डिज़्नी क्रॉसोवर club tagged: disney princess. COOL!!! it's nice to see the princesses as decently dressed mermaids instead of the other kind.